Being a somewhat quiet boy I found, shortly after entering puberty, a good way of expressing myself in sketching, after 2 years I decided to hit the streets with a friend of mine and we did some daylight vandalism. It was fun but it wasn’t more than just kids having fun, throughout the following years we went out doing damage without a cause. In 2000 I ended up hanging with some people that where deeper into the scene, they showed me how it was really done and things started progressing a lot quicker and soon after that I did my first piece. Around that same time I started exploring the world of (web)design and I started photographing graffiti. 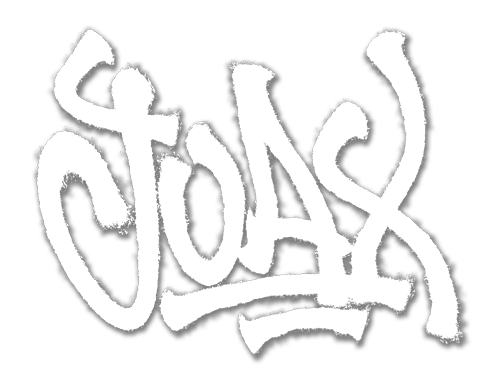 In the year that followed I found myself a name that represented me and where I come from.. Joax. The years that followed where quite turbulent. Jesus came into my life and as one might expect this changed quite a bit. A whole new light was now shining on creativity and vandalism. I ended up with a Christ following graffiti collective (ggcrew.com) and left the illegal behind in my former life. My recent activities are documented on both the photo- and blogpage.